Does your baby have eczema? If so, your child is not alone. Eczema in babies is very popular. It is basically a rash that appears on your child's face, arms, and legs. While some children quickly recover from eczema on their own, others may continue to have eczema as an adult. If you are looking for a way to quickly get rid of your child's eczema, you have come to the right place. In this article, I'll go over the best baby eczema cream, as well as home remedies to treat it and how you can help your baby recover from it. Let's get started. Before we go on any further about how to treat eczema in babies, let's first look at what this medical condition really is. Eczema is a medical condition in which patches of skin become rough and inflamed, with blisters that cause itching and bleeding. While adults can get eczema, it is most common in young children. Some babies "grow out of it" and never have to deal with eczema again. Others still have eczema when they are adults, although flare-ups in adults are not as bad. So, what causes eczema in babies? It's not clear what causes baby eczema, but it's most likely due to a combination of genetic and environmental factors. Infants are more likely to develop eczema if their family members have a history of eczema, hay fever, or asthma. Eczema is considered to be the result of an immune system dysfunction that affects the skin barrier and its ability to hold in moisture. Scented products, such as laundry detergents, perfume, and air fresheners. Avoid products that contain alcohol if possible. There are many home remedies for eczema in babies. While one of those eczema treatments is baby eczema cream, there are also many remedies for eczema you can do at home. Here are some home remedies to try. Avoid giving your baby hot baths, but instead only give baths with lukewarm water. Also, avoid using rough washcloths, loofahs, or towels when bathing your child. Right after your child takes a bath, moisturize your baby's skin with fragrance- and dye-free ointments, creams, and lotions. Dress your baby in soft cotton clothing that is breathable. Avoid using scented products on your child, as they may cause your child's skin to have a reaction. Keep your baby's fingernails short to prevent scratching, which can damage the skin and lead to further inflammation and infections. If you don't have time to trim your baby's fingernails, it is recommended to put mittens on your child so he or she doesn't scratch his or her skin. While eczema is rarely an emergency, there is a point when you may want to call a doctor. You should call the doctor if your baby’s eczema doesn’t begin to get better within a week of starting over-the-counter hydrocortisone creams. It may be time for a prescription medicine. You should also check with your doctor if yellow or light brown crust or pus-filled blisters appear on top of your child's eczema. This could be the sign of a bacterial infection that needs antibiotics. Lastly, you should call your doctor if your baby is around anyone who has cold sores or genital herpes. Eczema can make your little one more likely to pick up those germs. Now that you understand a little more about what eczema is, it is time to look at the best baby eczema cream options. Baby eczema cream will help your baby's eczema go away much quicker. Here are the best baby eczema cream options. 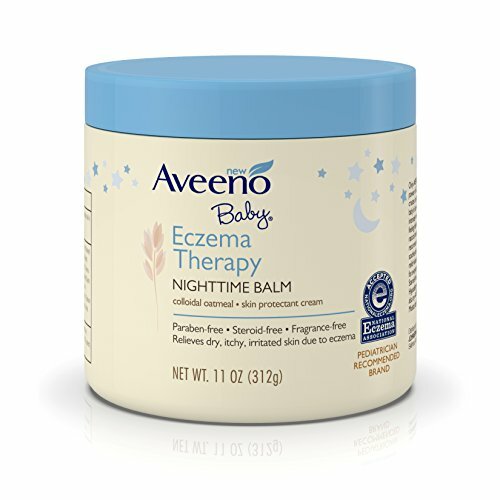 The Aveeno Baby Eczema Therapy Nighttime Balm is designed to help soothe your baby’s dry, itchy skin without the greasy feeling that many creams have. This baby eczema balm combines natural colloidal oatmeal and dimethicone to strengthen the skin's moisture barrier which helps prevent and protect against dryness and irritation of the skin. Specially formulated for babies, Aveeno eczema nighttime balm has been awarded the National Eczema Association Seal of Approval and is steroid-, fragrance- and paraben-free. This pediatrician-recommended brand eczema balm provides dry skin relief for your little one before bedtime. You can order this baby eczema cream in two different sizes. It comes in a 1-ounce jar and an 11-ounce jar. 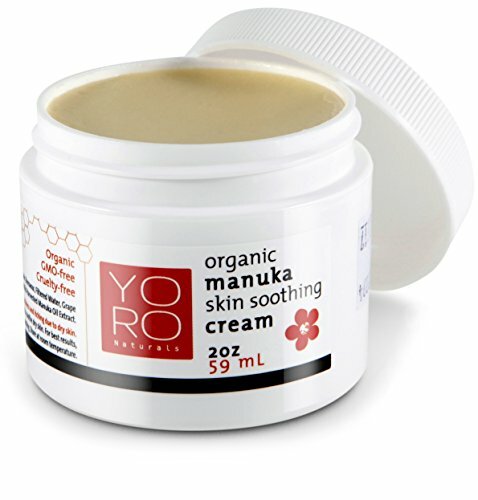 The Organic Manuka Honey Baby Eczema Cream is rich in soothing agents. This baby eczema cream is thick and moisturizing, easy to apply, but not overly greasy like typical oil-based balms. It is ideal for use as a 100% organic rosacea cream and as an atopic dermatitis cream as well. This baby eczema cream is made with organic, non-GMO ingredients. Customers who bought this baby eczema cream liked that they could pronounce all of the ingredients. A lot of baby eczema creams contain ingredients that you cannot pronounce, so it is nice to know that the ingredients in this cream are natural and safe. 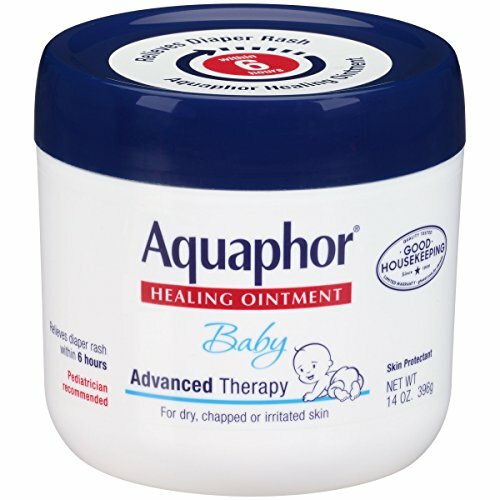 The Aquaphor Baby Healing Ointment is pediatrician recommended and hypoallergenic. It is paraben, dye, and fragrance-free. This baby eczema cream has been clinically proven to restore smooth, healthy skin. It is designed for babies with dry, chapped skin, as well as for drool and teething rashes. It is a uniquely formulated skin protectant that allows oxygen to flow and help heal the skin. You can also use this eczema ointment as a diaper rash cream. This baby eczema cream comes in a 14-ounce jar. 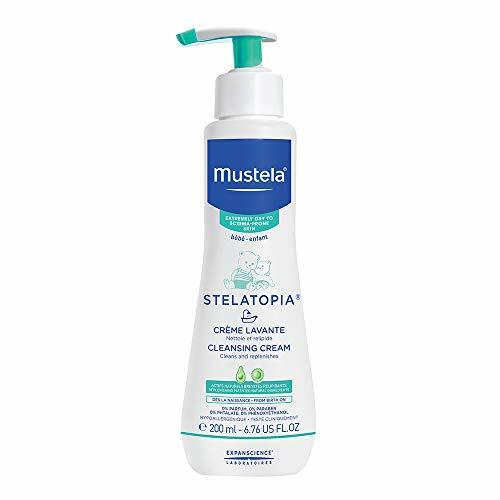 The Mustela Stelatopia Cleansing Cream is specifically designed for babies and children with eczema-prone skin. This plant-based cleansing cream gently cleans while relieving sensations of irritation, itching, and skin discomfort. It is fragrance-free and hypoallergenic. This baby eczema cream is recommended for newborns and young children. The Mustela Stelatopia Cleansing Cream is enriched with a blend of Sunflower Oil Distillate to soothe the skin of your baby. It also contains Avocado Perseose, a patented natural ingredient to help protect and strengthen your baby's delicate skin. The Triple Cream Severe Dry Skin/Eczema Care soothes the worst cases of dry skin associated with eczema. It has been chosen specifically to deliver fast, lasting relief. This baby eczema cream provides a superior blend of healing, soothing ingredients. It comes in an 8-ounce jar, as well as in a 3.5-ounce tube. The Baby Eczema Cream for Face & Body is made from organic and natural ingredients for your baby's sensitive spots for faster relief. It quickly protects and soothes burns, hives and various skin conditions for healthier skin. You can order this baby eczema cream in a 2-ounce jar, 4-ounce jar, 8-ounce jar, or 64-ounce jug. 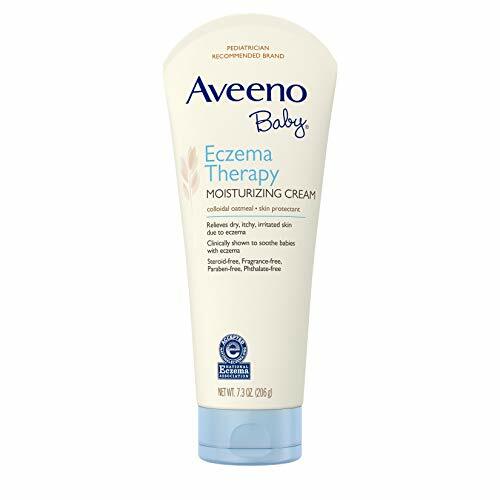 The Aveeno Baby Eczema Therapy Moisturizing Cream is designed to soothe dry, itchy, irritated skin and strengthens the skin's moisture barrier to prevent and protect against dryness and eczema. This baby eczema cream is made with natural colloidal oatmeal and dimethicone, which intensely moisturizes skin and prevents the recurrence of extra dry skin. 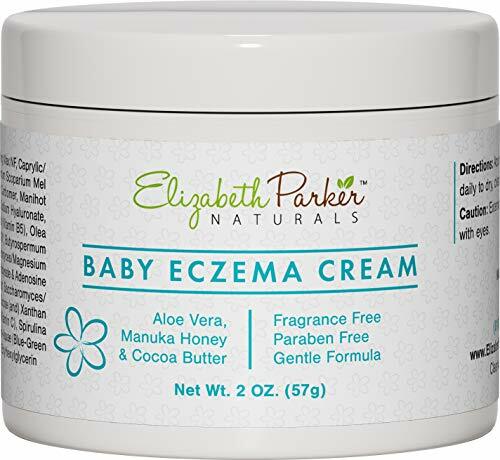 This is a pediatrician-recommended baby moisturizing cream that is clinically proven to reduce itching and irritation caused by eczema. It has been developed with leading dermatologists. This baby eczema treatment is steroid, fragrance, paraben, and phthalate-free. It is guaranteed to be gentle on your young child's skin. 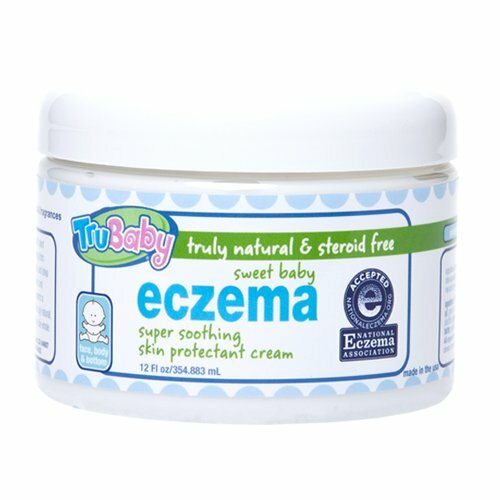 The TruBaby Sweet Baby Eczema Cream is accepted by the National Eczema Association. It is unscented, steroid, and fragrance-free, making it completely safe for your child's sensitive skin. This baby eczema strengthens skin and seals in hydration for extra protection during outdoor play and dry indoor months. This product is pediatrician and dermatologist tested. It is phthalate- and paraben-free. This baby eczema cream is made in the USA. I hope this article on how to treat eczema has helped you. In this article, I went over the best home remedies for treating eczema, eczema symptoms, and the best baby eczema cream. Baby eczema cream helps soothe your baby's skin and make your child's skin less itchy. Hopefully, now you will be able to help your child overcome his or her eczema with these baby eczema cream options.